Stearns & Foster is one of America's leading luxury bedding manufacturers, renowned for their mattresses which are handcrafted from some of the finest materials used in bedding. Every detail is held to the highest quality standards, from intricate embroidery and hand-tufted finishes to solid brass air vents. In their quest for opulent silks, high-grade wools and even Mongolian horsehair, Stearns & Foster has spanned the globe. Every mattress is crafted by skilled artisans who integrate old world customs–think hand-sewn accouterments and cashmere infused covers–with new world design. Over the last 165 years, their exquisite expert-recommended collections have redefined the concept of luxury mattresses that actually feel as wonderful as they look. And while elegant styling is the foundation of this brand, high-tech features like individually-wrapped titanium coils and cooling layers of PrimaSense™ Gel Foam promise unsurpassed neck, joint and spinal support. And depending on personal preferences, you also get to select the type of top cushioning, which spans from ultra-firm to luxury plush. Mattress World Northwest is pleased to offer a comprehensive selection of the best Stearns & Foster mattresses. Our eleven showrooms feature the best of their Signature, Estate, Lux Estate and Lux Estate Hybrid collections. Indulge yourself in the timeless aesthetics and fine craftsmanship of a Stearns & Foster mattress and swing by our mattress showrooms in Oregon–including in downtown Portland, Wilsonville, Happy Valley, Glisan, Jantzen Beach, Washington Square, Clackamas or Salem–for a comfort test today! If you’re looking for a premium mattress that features luxuries like hand-tufting, then consider the Lux Estate Collection by Stearns & Foster. This added quality makes all the difference in the world when it comes to increased responsiveness and body-hugging support. You have a choice of different comfort levels, including: plush, cushion firm, firm and Ultra firm. Boasting hand-embroidered accouterments and cashmere infused quilting, the Estate Collection showcases the exceptional craftmanship of Stearns & Foster mattresses. The foundation of this attractively-priced collection is their signature IntelliCoil® Advanced, which constantly adapts to body movements to ensure the optimum level of support. 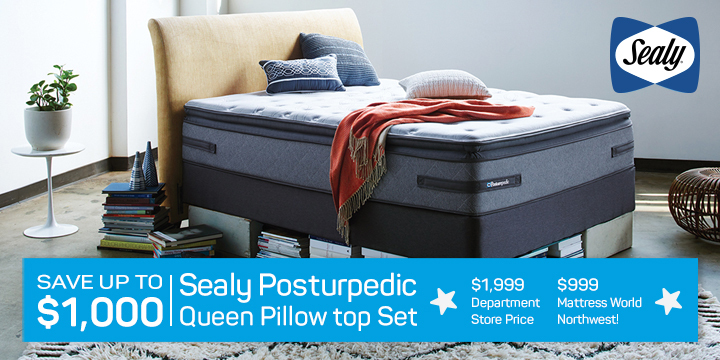 Enjoy innovative sleep technology and luxurious details you won’t find anywhere else in this deluxe line by Stearns & Foster. The Reserve Collection is top-of-the-line and delivers the comfort, elegant features and adaptive support you’d expect in a hand-crafted mattress. You will not find better materials, design or workmanship in any other model, from the durable, dual-coil foundation to the plush Hybrid pillowtop surface. 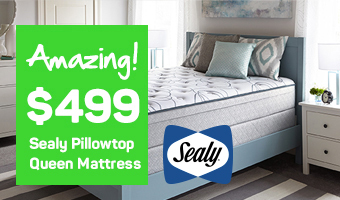 Indulge in the timeless aesthetics and fine craftsmanship of a Stearns & Foster bed, available at Oregon’s largest mattress retailer – Mattress World Northwest. We know that choosing the right mattress is an important decision, and we’re confident that our inventory of high-end sleep set ups will accommodate your preferences and budget. 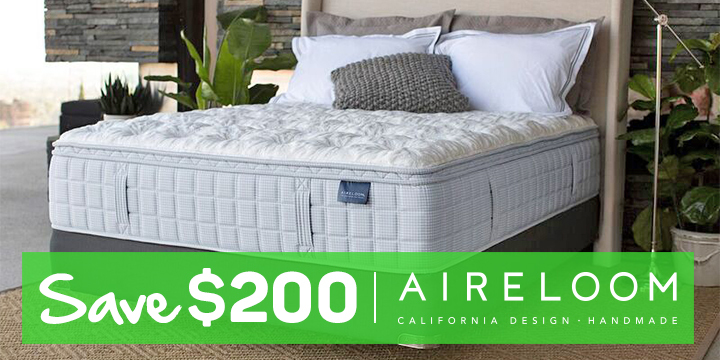 We are proud to be an exclusive retailer of Stearns & Foster and offer some of the best deals on high quality mattresses from their Estate, Lux Estate and Reserve Collections. We invite you to swing by one of our modern mattress showrooms– you’ll find us in downtown Portland, Wilsonville, Happy Valley, Glisan, Jantzen Beach, Washington Square, Clackamas or Salem– come in for a comfort test today!